The Netherlands must use it “golden opportunity” to make a difference for women in conflict when it takes up a seat on the UN Security Council next year. Asma Khadder of SIGI Jordan spoke at the conference. 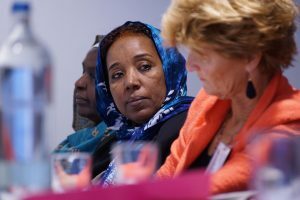 Women activists from the Arab region have urged the new Dutch government to take full advantage of its privileged position on the Security Council by making sure that women are no longer excluded from and marginalised in peace processes in conflicts in countries including Iraq, Libya, Syria, Sudan, South Sudan and Yemen. 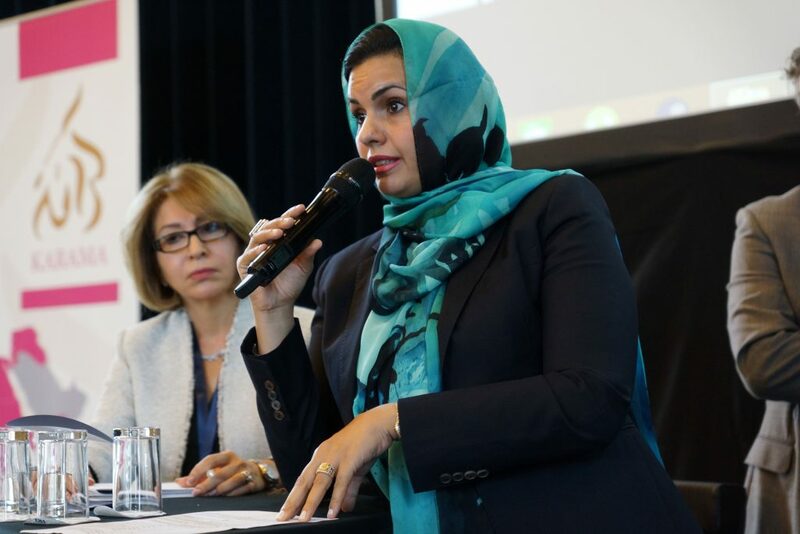 The activists were taking part in a conference in The Hague hosted by the Karama activist network in partnership with the Dutch Ministry of Foreign Affairs and the University of Leiden. 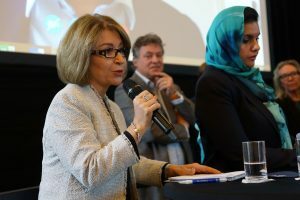 The conference focused on human rights, women’s rights and the need to end the various conflicts in the Arab region, asking what has gone wrong with peace processes and the promise of the revolutions in 2011, and proposing ways to move forward. Conference delegates shone a light on the increasing difficulties they face in order to simply carry out their work. Activists spoke of the widening use of restrictive laws that impede freedoms of speech, organisation and assembly, all crucial to the work civil society groups. Delegates also described the physical and online intimidation, threats and acts of violence that they face. 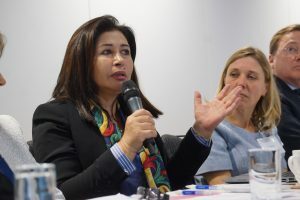 They warned that political progress and fundamental freedoms are in danger if human rights and women’s rights defenders are not adequately protected by local and international authorities. 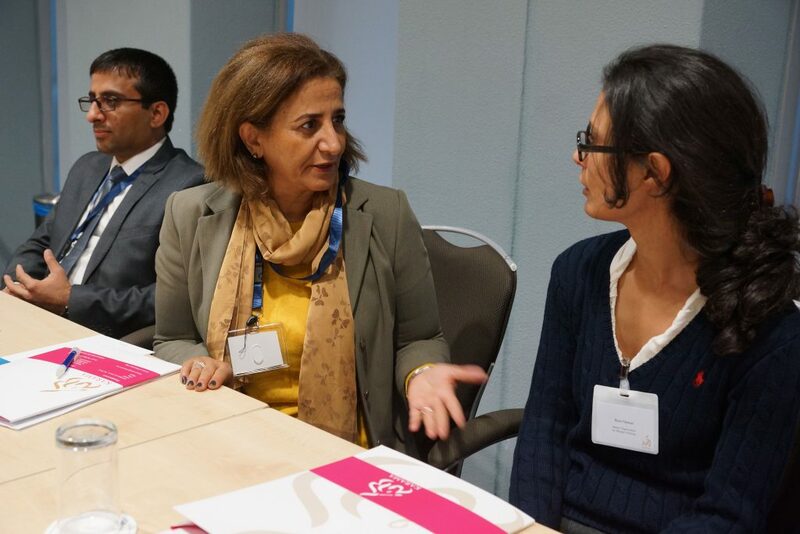 The conference gave a platform to activists who have played central roles in successful campaigns to abolish discriminatory laws in Jordan, Lebanon, Morocco and Tunisia, and those from Palestine who had been involved in securing the country’s National Action Plan on UNSCR 1325. They issued a grave warning that the shrinking space available to civil society groups threatens the grassroots campaigning that has successfully challenged inequality and discriminatory laws, and brought in greater protections for women. The activists added that a culture of impunity is a critical threat to civil society and society as a whole. Human rights violations must be monitored, recorded, investigated and prosecuted wherever they might happen. 5. Social Media Activism Has Changed the World: How Do Activists Change Social Media? Activists leading campaigns against discriminatory laws saw important successes this year in Jordan, Lebanon and Tunisia. Among a series of new laws and protections, each of these countries abolished laws that allowed rapists to escape punishment by marrying their victims, thanks to the work of civil society activists mobilising popular support. This session brought together activists at the centre of these campaigns. What can we learn from their success? And what challenges are there to achieving greater legal protections for women? Amal Kreishe discussed the crucial role of coalition building in bringing change. 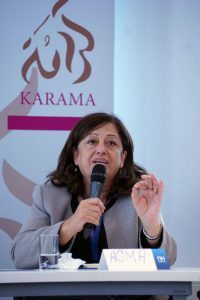 Asma Khadder discussed the campaign in Jordan that succeeded in ending Article 308, as well as abolishing one of the laws most readily used to soften punishments in so-called ‘honour crimes’. Asma noted that demands to end such discriminatory laws dated back to the 1940s, but it is only recently that civil society has been in a position to build the popular momentum to achieve its goals. They did this by building a coalition and focusing on specific articles. This clear message was broadcast to wider society through demonstrations, media campaigns and the use of other available means. Coalition building had also been central to the work of activists in Palestine, noted Amal Khreishe. Working from a broader base had led to breakthroughs in public awareness of issues like human rights. 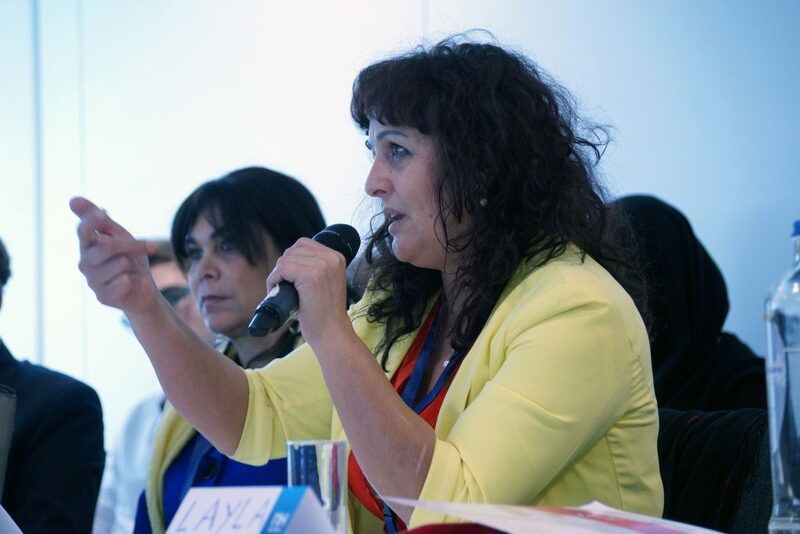 Samia Melki discussed the role that women’s participation has played in bringing the women’s agenda to the centre of political discourse in Tunisia. Women voters have become a key constituency in Tunisian elections. In the last presidential elections, the winning candidate was pushed over the top by winning an overwhelming majority of women voters. Recognising that he owed his success to women, he has sought to pay back this constituency. He appointed a leading women activist as an advisor – providing a way in for activists – and addressed a number of discriminatory laws. Rhizlaine Benachir from Morocco underlined that these victories had not come overnight. The women’s movement in the region had been working hard for a long time – her own organisation was formed in 1990. Since then they have been involved in many positive changes for women, such as new laws and the new constitution. Delegates were clear that these successes were not the full story. Fatima Outaleb, also from Morocco, noted that women continue to face a daily struggle. Not only do they – as both women and activists – experience harassment in the street, but civil society itself is coming under attack, with increasing pressure from restrictive laws and a lack of resource and support. This point was echoed by Layla Naffa from Jordan, who warned that the threat posed to civil society was a regional one. Global media has reported on the successful campaign to abolish Article 308, but journalists and readers might be surprised to know that the very groups who led these campaigns may cease to exist if the situation continues to get worse for civil society groups. Delegates all noted that women’s participation at all levels was central to achieving the kind of change that would make a positive difference for women across society. 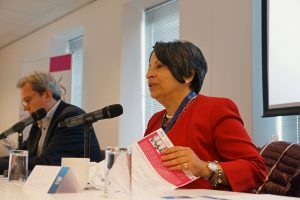 Threats to their participation – from reduced representation, participation or restrictions on civil society’s ability to work – meant that the issues of importance to women, young people and other marginalised groups would not be on the political agenda. The Arab Region and Africa currently face some of the world’s longest and most deadly conflicts. This session brought together young people experiencing conflict to discuss how the violence affects their daily lives. The floor was then given to political analysis of how each country got there, and how they might move toward resolving conflict. 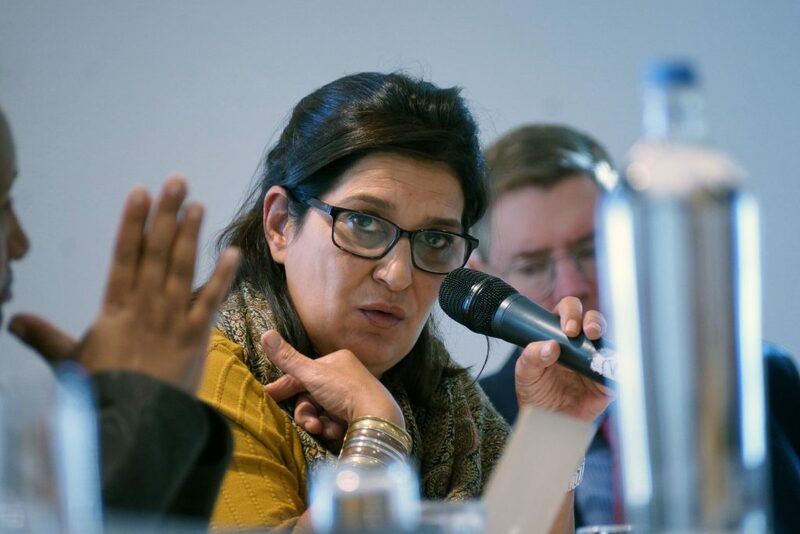 Zahra’ Langhi stated that the international community’s decision to invoke the responsibility to protect in Libya was not a wrong move, but that subsequent failures and decisions are at the heart of Libya’s slide, with it ultimately becoming a failed state. Reestablishing trust will now be critical to achieving progress. This needs to be thought of both vertically and horizontally; social cohesion has to be re-established before economic investment can be discussed. In order to be sustainable, these processes must include women and civil society. Rand Khalid (l) from Iraq and Ahmad Ajaj (r) from Libya. 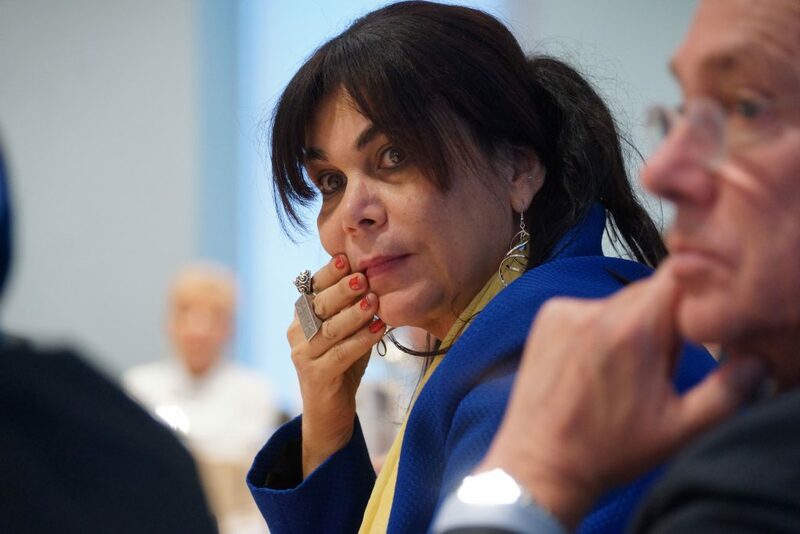 Suzan Aref said that it was difficult to discuss peace and security in a country that faced so much conflict – between Shia and Sunni, Shia and Sunni against Kurds, and all against ISIS. It is complex to say the least, and a situation in which women are marginalised and ignored. While Iraq’s national action plan for the implementation of UNSCR 1325 was an important step, there are still challenges to make rhetoric match reality. Local civil society organisations are struggling to compete for resource with international NGOs, which also reduces their ability to participate meaningfully. 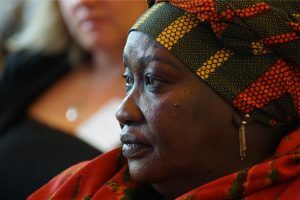 Sarah Awel James said that while the peace agreement had been a good step with popular support, implementation had been a serious problem. This has led to division, with a rise in the number of militias and a lack of security. The revived national dialogue is not addressing the root cause of the division, and the international community is just watching the situation and not bringing about progress. Samia El Hashmi noted that right from the beginning, the national dialogue had not been inclusive. Laws restricted people joining, there was no freedom of speech or mobility and most political parties had refused to take part. Progress had however been made, and a “roadmap” established, but it lacked a detailed agreement. After more than 18 months without action, no further round of talks has been initiated, while sanctions aimed at the country were hurting the people more than the government they were supposed to target. Emad Garesh (l) and Amal Basha (centre), from Yemen. 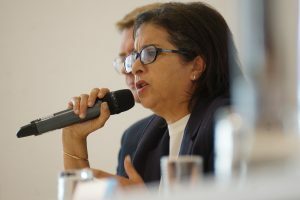 Amal Basha noted that the war had divided Yemen between north and south, making it far more difficult for activists to work on a national basis. While the country suffers, the black market has benefited a minority, who have no interest in ending the conflict. The key though is in the two regional powers coming to an agreement, until that happens the war will go on. Economic development and entrepreneurship are key as we work toward democratisation and women’s rights. We were delighted to be joined by a number of local entrepreneurs, as well as Robert Dijksterhuis of RVO, the Netherlands Enterprise Agency, for this discussion. Robert identified security and trust as two elements essential to successful entrepreneurship and successful women’s organisations. They are also things that are absent in conflict zones. He said that women’s organisations are on the ground, and can give insight into issues that need to be addressed. This information can be used through businesses to pinpoint specific problems in the country and society, this would lead to more stability and then economic growth. Faiza Mohammed stated that economic empowerment through income generating projects ensures employment for women by giving them small grants after training them in something they want to do, such as stitch-work and crafts. If you want women to become stronger, you also need to empower them economically. In Somalia, women’s work is mostly in the informal sector, sustaining families. Faiza discussed the example of tea sellers. When the Somali state collapsed, many women started work serving tea, essentially starting as small business people. This sector is now under threat from American-supported commercial tea sellers. This kind of gender-blind, top-down intervention is leaving women jobless. Conflict, famine and inequality have seen the greatest humanitarian, refugee and migration crisis for the mediterranean region since 1945. Decisions made in Brussels, Strasbourg and European capitals have deep and lasting consequences for people far beyond the continent’s borders. 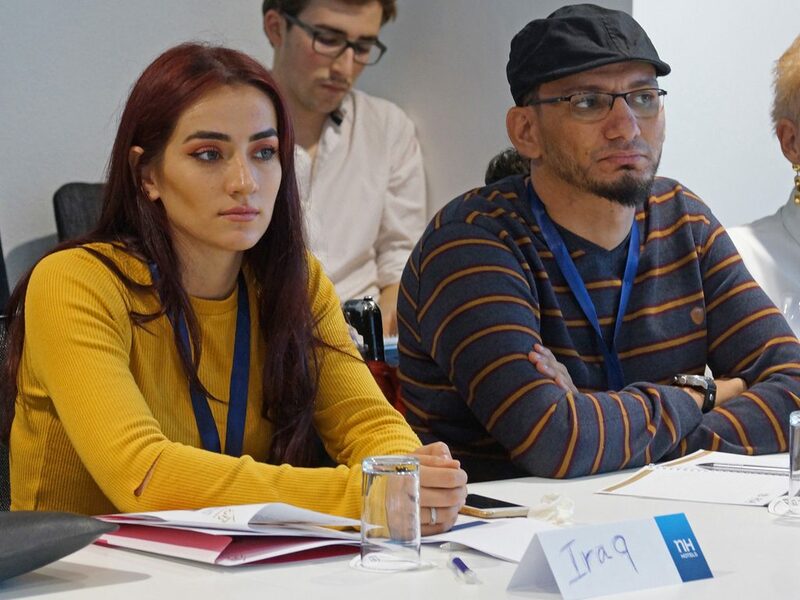 Led by Niels van Willigen, associate professor of international relations at Leiden University, this session sought activists’ perspectives on the foreign policy of the EU and its members. 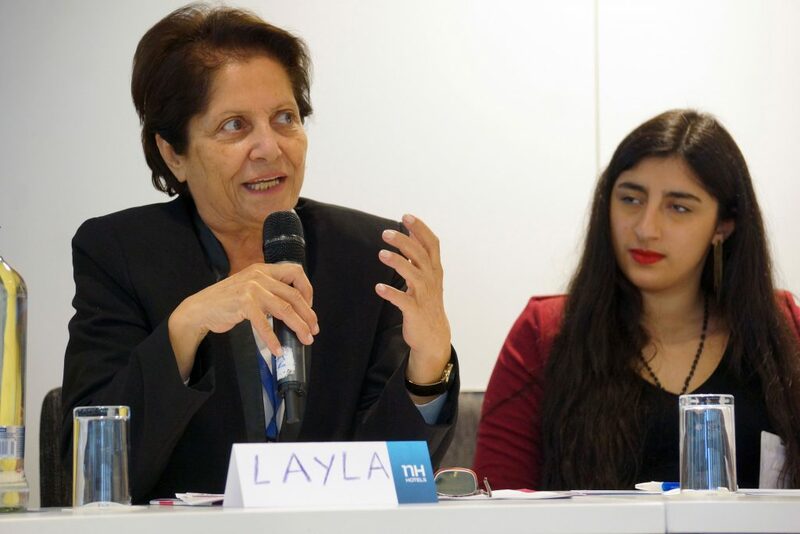 Layla Naffa and Azza Kamel, from Jordan and Egypt respectively, questioned the EU’s commitment to human rights in its dealings with their home countries. Layla and Azza both noted that activists are experiencing severe crackdowns and restrictions on their ability to work. This problem was not being addressed by the EU in its dealings with the region. 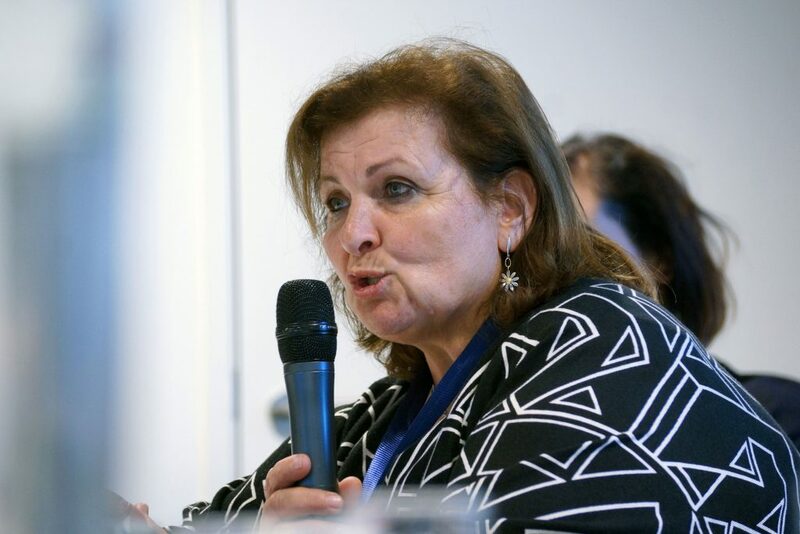 Amal Kreishe and Lily Feidy also described a disconnect between the EU’s rhetoric on human rights and its actions in relation to Palestine. Member states or EU institutions spoke of their support for Palestinians, but they would be absent in the voting chambers or when it really mattered. While there were doubts about extent to which Europe has managed to incorporate the principles of human rights into the practice of foreign policy, panelists were much more positive about the EU’s influence on the women, peace and security agenda. 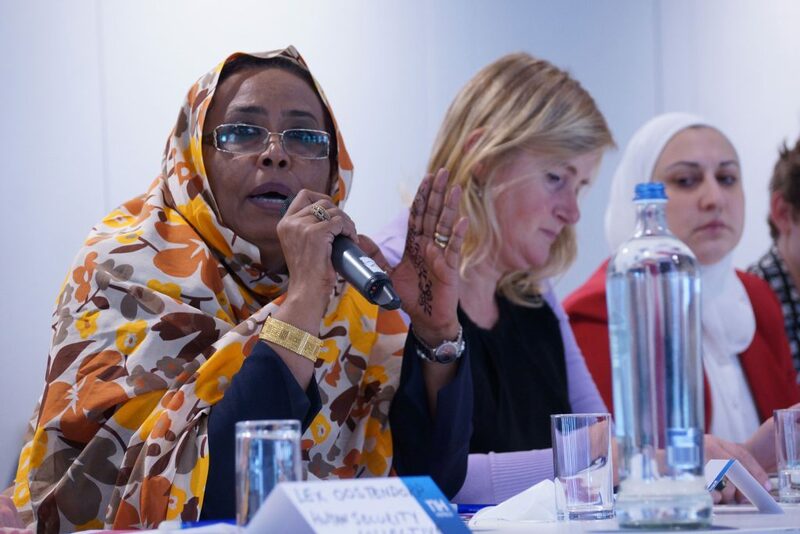 Suzan Aref from Iraq and Maria Abbas from Sudan both welcomed the support the EU had provided in the development of national action plans for the implementation of UNSCR 1325. The political and practical support provided by the EU in this area had led to tangible progress in this area. Panelists did though note that EU development support was not a complete success story. Rhizlaine Benachir said that since Morocco agreed its new constitution, a rather simplistic view of the country had taken hold within Europe. Morocco’s government has little interest in working on women’s rights, and women’s groups are finding it harder to find support. However, the EU and other actors are happy to work with the government and don’t seem to recognise its conservatism, or the difficulty faced by women’s groups. Layla Naffa discussed the complexity of the application process for EU funding. In the case of Jordan, this had in effect favoured quasi-autonomous non-government organisations, which are not truly independent from the state. The QUANGOs succeed at the expense of independent NGOs, and their place within the establishment means they do not contribute critically to public discourse. The power of online social and political activism has had revolutionary effects in the offline world, not least in the Arab region. This session looked at how activists use social media to organise, make themselves heard, and have an impact on the political scene. It also considered the dangers that working online poses. 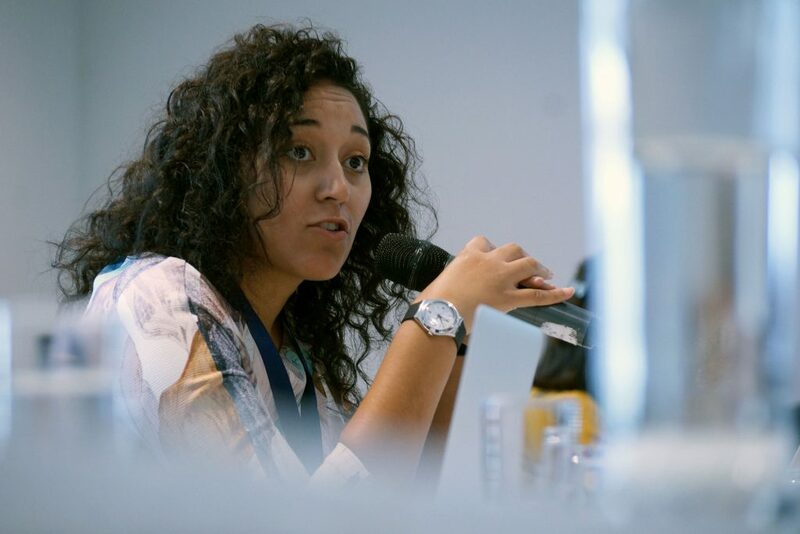 The power of social networking is not limited to progressive causes, how have harassment and threats followed activists online, and what can be done to keep social networks safe for human rights defenders in the Arab region? Participants noted that social media had played a vital role in the revolutions that started in 2011. Previous public demonstrations – for example in Libya in 2005, or in Tunisia in 2008 – were not covered by traditional local media. This in turn meant they had not reached the wider public consciousness. That changed with the popular use of social media. Émna Mizouni discussed the example of Tunisia’s anti-censorship protests in May 2010. After the Tunisian government initiated a huge crackdown on social media sites – from blogs to facebook accounts to video and photo sharing sites – the peaceful ‘white shirt’ protests were mobilised. This large-scale and well-organised movement would presage the wider Tunisian protests that would break out just months later, and spread across the region. The role of social media in providing a means of covering events not seen in traditional media, and as a means of recording human rights violations, remains significant. From Palestine, activist and filmmaker Suheir Farraj noted that social media had provided evidence to counter official or prevailing narratives in a number of high-profile cases. Social media also allows activists to coordinate at speed. Zahra’ Langhi discussed the example of the ‘woman travel ban’ campaign, launched after the military governor in eastern Libya decreed women under 60 would need a male chaperone in order to travel abroad. The directive met with scorn and anger, which quickly turned into a spontaneous social movement. There remain threats to online activists, and women activists in particular. In South Sudan, Sarah Awel James noted that social media had been used by reactionary groups to target, smear and attack women activists. Sometimes women had even been killed when their photograph had been found on someone else’s phone. Women across the region are increasingly seeing social media being used against them, with attacks now more sophisticated. Hostile users now create falsified evidence to spread online to discredit activists, such as fake profile pages containing inflammatory rhetoric, or fake tweets made with photo editing software. The panel opened with the statistic that two thirds of people in the Arab region now use social media to get news. 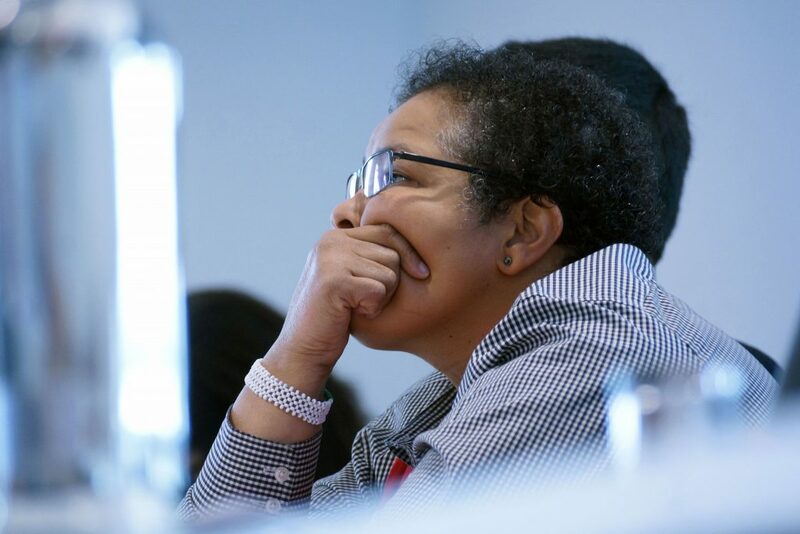 Given its importance, reach and influence, panellists and attendees agreed that social media is not simply a good or bad thing, and that it was now impossible to turn back the clock on it. Activists will continue to use social media but there is a need for providers to consider how to deal with the abuse of their social media platforms to harass, attack and threaten others.